Our company is called Movers Best. We are proud to be part of the Brea community and we really care about our customers. By offering Brea residents comprehensive moving services, we help them to experience less stress before and during their moves. We know that moving is tough and our technicians have the skills and experience necessary to pack up precious possessions and move them from place to place. They are also skilled at assembly and disassembly. We’ll provide these packing/unpacking and assembly/disassembly services if you want them. If you’d rather pack up yourself, we’ll provide you with packing materials at no extra charge. 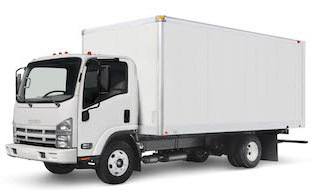 Any moving company in Brea that you choose should be respected in the community. We do have a good reputation and we’ve worked hard to build it. We know that every job is important, no matter how small. Our can-do attitude is the reason why we are one of best professional moving companies in Brea. If you want movers that you can really count on, you’ll find that we deliver. As well, we don’t overcharge for the services that we provide. We are movers who bill ethically. This means that you won’t get hit with extra charges. Instead, you’ll be charged fairly and provided with a realistic quotation for services before you approve the job. We want you to feel safe and secure. This is why we follow industry “best practices”. You may be wondering why you should choose our Brea movers? Well, our moving service is bonded, so we are a safe choice. As well, we are pleased to offer different tiers of insurance coverage to our clients. So, you’ll be able to choose the level of insurance coverage which suits your needs and budget. In addition, we are pleased to offer optional services. Basically, whether you want a lot of assistance with moving or just a bit, you will find that we are able to provide it. It’s all about making sure that your requirements are met. Also, you should know that our staff members are well-groomed, clean and polite. They reflect well on our company and they’ll definitely treat you well, and also take good care of your possessions. In fact, they will treat them like their own! Now that you know more about our movers, you’ll be ready to move forward and contact us today. We believe in delivering exceptional service and we are confident that our movers can deliver superb service to you. We will give you a voice in the process, by allowing you to choose the moving services that you want. Also, we’ll ensure that your move is organized, so that everything runs smoothly on moving day. By offering you access to years of knowledge and expertise, our movers make it possible for you to enjoy a move which isn’t stressful. If you try to move yourself, you may find that it’s a heck of a lot of work and really exhausting! This is why choosing our cost-effective moving services will be such a wise decision. Brea professional moving service. Hopefully, our guide has made it easier to decide whether or not we have what you need. Since we are a full-service moving company, we do provide the options that people want. Once you’ve contacted Brea movers, you’ll see that we are caring people who really want your move to be pleasant. For this reason, we encourage you to reach out today. We are able to provide moving services which are world-class, without charging you an arm and a leg.